Autism Berkshire provides drop-in advice sessions or support groups for parents and carers of children and young people with autism, or whose children are waiting for an autism assessment, in Reading, Bracknell, Slough, Thatcham and Windsor. Free drop-in advice sessions are held during school terms in Reading and Slough, plus the first Friday of every month at the Swings and Smiles coffee mornings in Thatcham, where our team will be happy to answer autism-related questions and talk about local support services for individuals and families living with autism. 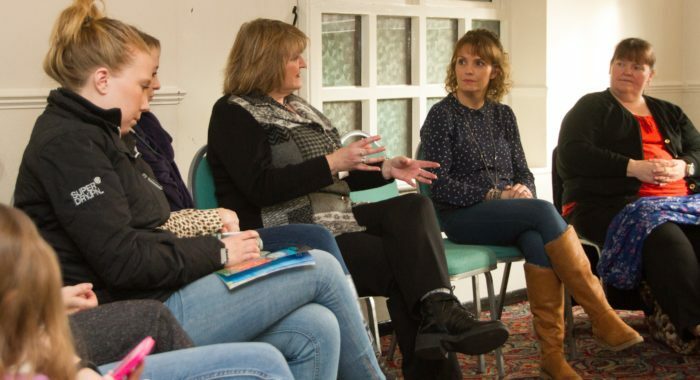 Support group meetings in Bracknell, Slough and Windsor are free of charge, friendly and informal, with tea, coffee and biscuits provided, and give those attending the chance to talk, share experiences and learn new strategies in a supportive and non-judgmental environment. Visiting speakers will talk about topics relevant to parents and carers of children and young people on the autism spectrum and answer questions. Subjects covered include managing behaviour, visual support strategies, anxiety, emotions, social stories and benefits advice. A number of these services are supported by the East Berkshire and Berkshire West NHS Clinical Commissioning Groups. Scroll down the page for details of what is available in your area. These are held every Tuesday during school terms between 10.30am and 1.30pm in the Autism Berkshire office at 40 Caversham Road, Reading, RG1 7EB. These sessions are open to people living in Reading, Wokingham and West Berkshire. Click here for details of car parking and public transport. April 23, April 30, May 7, May 14, May 21, June 4, June 11, June, 18, June 25, July 2, July 9, July 16, July 23. Please note that there will not be a session on Tuesday, April 2. Please note that we are unable to offer advice about benefits at these drop-in sessions. Benefits advice is only available by appointment. Click here for more information about our benefits service and how to make an appointment. Advice about benefits for autistic people and their families is also available in Slough, but this is on an appointment-only basis. Click here for more information about our benefits service and how to make an appointment with our adviser Kevin Jackson. Benefits advice appointments take place at the Slough Shelter office at 27 Church Street, SL1 1PL. The group’s meetings are held during school terms on a Thursday between 10am and noon at Forest Park Community Centre, Horndean Road, Forest Park, Bracknell, RG12 0XQ. Forthcoming meetings: June 6. Guest speaker to be confirmed. The group’s meetings are held during school terms on Fridays, at The Curve, in William Street, Slough, SL1 1XY. May 17: In The Gallery area, from 12 noon to 2pm. Guest speaker to be advised. The group’s meetings are held during school terms, between 10am and noon at Windsor Youth and Community Centre, Alma Road, Windsor, SL4 3HD. Wednesday, May 8: Guest speaker to be confirmed. Our local Home Visit Support Worker, Amanda Walker, attends coffee mornings run by Swings and Smiles in Thatcham to offer drop-in advice to parents and carers and answer questions about autism, our services and the workshops we run. Swings and Smiles is a charity based in Thatcham, which supports families of children with special needs, including autism, and provides purpose-built play facilities. It hosts a weekly coffee morning for parents every Friday during school terms, giving them the chance to chat and share advice and information. These are held at the charity’s base at A Place to Play, in Lower Way, Thatcham, RG19 3RR, between 9am and 11am. May 3, June 7, July 5. Meetings are free of charge. Children are welcome. 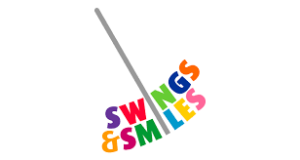 For more information about all Swings and Smiles’ services, including the coffee morning, email office@swingsandsmiles.co.uk, call 01635 285170 or visit their website. These support groups are run by West Berkshire Council for parents and carers of children on the autism spectrum. Meetings in Tilehurst are held at Downsway Primary School, in Warbreck Drive, on Thursday mornings between 9.15am and 11.15am. Meetings in Thatcham are held at the West Berkshire Central Family Wellbeing Hub, in Park Lane, on Thursday mornings between 9.30am and 11.30am. Meetings cost £1 per family, including refreshments. Children are welcome. Melissa Hutchings, the council’s Autism Advisor for Families, will be available to answer autism-related questions. Guest speakers attend some meetings to talk about topics relevant to parents and carers of children on the autism spectrum. For more information about the groups, email melissa.hutchings@westberks.gov.uk or call Melissa Hutchings on 01635 503646.